LOOKING FOR RELIABLE WEDDING ANNIVERSARY LIMOS & PARTY BUSES? LOOK NO FURTHER! It’s your anniversary. Do you remember how it used to be?… Rekindle your love, but spice it up with something special. See her face light up from an unexpected surprise, as a luxurious chauffeured limo arrives for a date-night for two. Delight her and discover a romantic evening dedicated to love. Change the mood entirely from driving to riding and ease the stress of driving and parking. Create a fun escapade that is just for you two, we can offer a personalized service that can accommodate your every need for this special night. 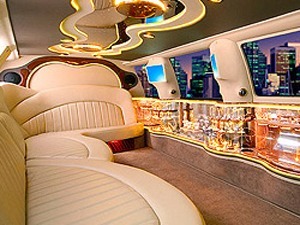 You can relax with champagne in the back of a Columbus Limo service while our reliable drivers handle the rest. It’s your night after all, celebrate with something unique. Surprises never go out of style. Break out of the monotonous daily routine. We will take care of you. No worrying with directions, driving or parking. No complications, distractions or stress, for a night that you can really enjoy with limo service DC or limo service VA.
Make her heart melt as she enters a limo with your wedding song playing. Set and create the mood with custom light settings for your unique and special occasion. You can count on our skilled drivers to show up on time and always drive carefully.